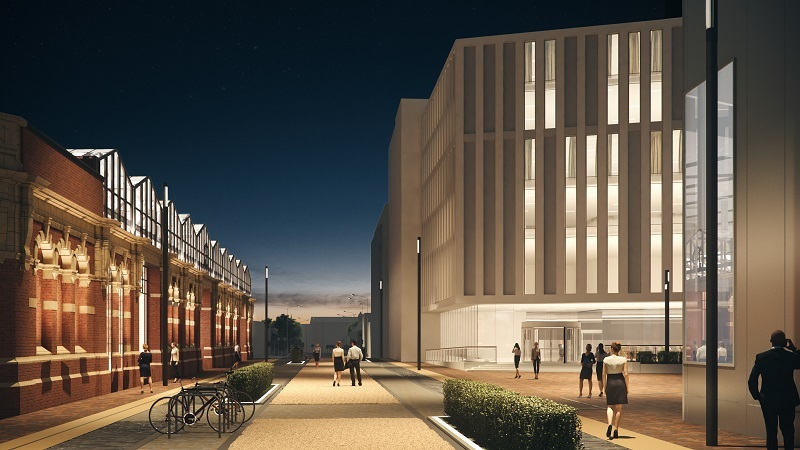 Leicester’s Connecting Spaces regeneration project has received a big boost with the unveiling of a new plan to transform Great Central Station and the site of the former Stibbe factory. 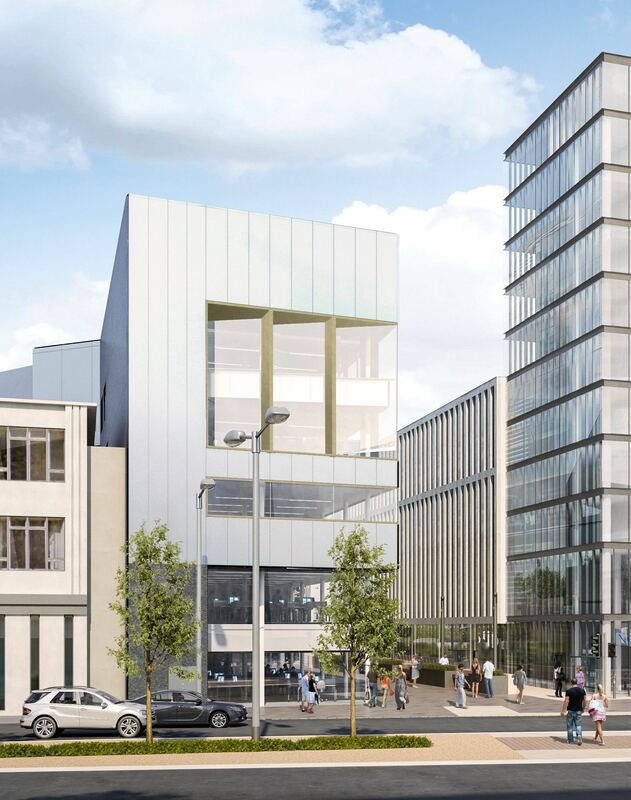 The former Stibbe site will be redeveloped a new 43,000 sqft office block designed by Stephen George + Partners together with a 152-bed Novotel hotel and 100 bed Adagio “aparthotel”. Plans also include the refurbishment of the station including its glass canopy and front façade. At the heart of the proposal is a new traffic-free public space, which will include part of Great Central Street so that the refurbished station becomes integral to the development. The Masterplan (designed by Stephen George + Partners) also involves creating a new pedestrian “super-crossing” of Vaughan Way, linking the development directly to the city centre.